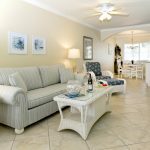 Barefoot Beach Resort’s condos are deluxe waterfront vacation rentals overlooking the Intracoastal waterway of Indian Shores. Tastefully decorated these spacious one- and two- bedroom condo style suites feature New Coastal Florida furnishings throughout – porcelain tile floors in the living area, granite kitchen counter tops, fully furnished kitchens with full-sized appliances, a private bathroom, Insta-Hot water on demand, a coffeemaker and tea pot, free Wi-Fi and a Florida room for soaking up the sun and the nearby scenery. Daily housekeeping is not provided. 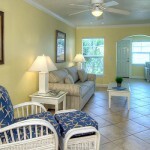 Every condo at Barefoot Beach Resort is special. In fact, some have their own private patio or views of the Intracoastal sunrise. Better yet, watch the sun rise from the horizon as you set sail from a private boat slip. There’s no better way to start your day, nor is there a better way to vacation. 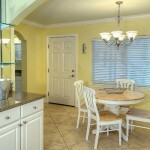 Enjoy the comforts and amenities of home, while vacationing in the lush, tropical paradise of Indian Shores. 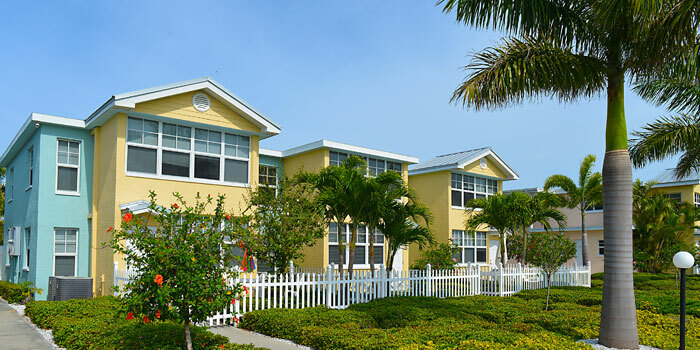 Call us toll free at 1-800-996-5303 or CLICK HERE to book your stay today! One Bedroom Condominiums at 750 sq. 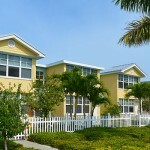 ft.
Two Bedroom Condominiums at 1,000 sq. ft.
2 Beach Chairs/Umbrella in each condo. Beach Towels- two in a 1bdrm, 4 in a 2bdrm. Tennis rackets and tennis balls. Free use of Beachfront Fitness, including availability of any of their specialty classes like Yoga, Pilates and Zumba. 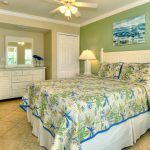 All reservations require an advance deposit and are subject to the cancellation policy in effect at the time the reservation is made. Per H.O.A. policies, only one parking pass per condo. No trailer or boat parking. Amenity fee will be charged per room, please see details under the Amenities page.